Taylor and Andrew’s wedding is still to this day, one of our all time favorite! They had a coffee bar, served delicious breakfast and instead of cake, they provided cinnamon rolls! But most importantly, the love that they felt for each other and the love that everyone around felt for them was so warm and bright. 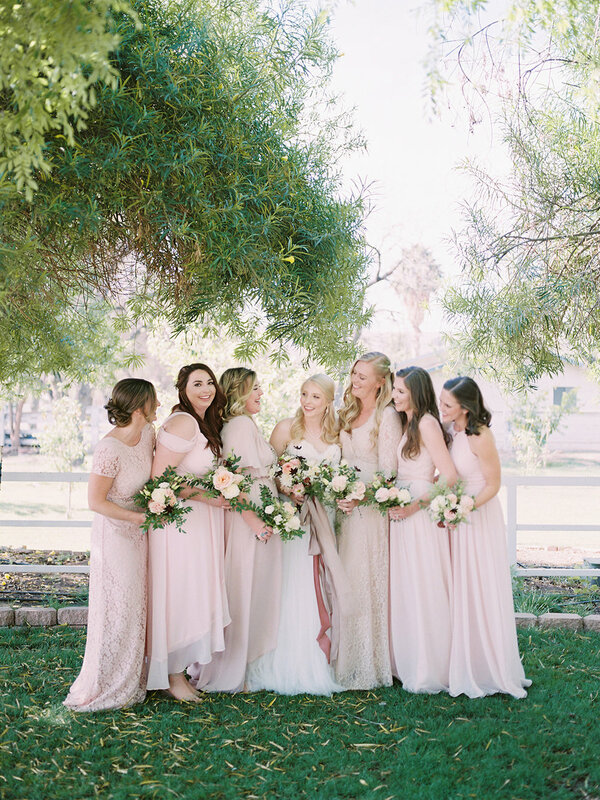 Their spring palette of blush, peach and white was perfect for the early morning affair! I am still so thrilled that Taylor allowed us to incorporate some richer tones her bouquet to create a little more contrast. After set up, I was lucky enough to have a seat saved for me during the reception and I couldn’t have been happier to be a part of such a magical, heart warming wedding! It truly was a beautiful day. Photos by Ball Photo Co.